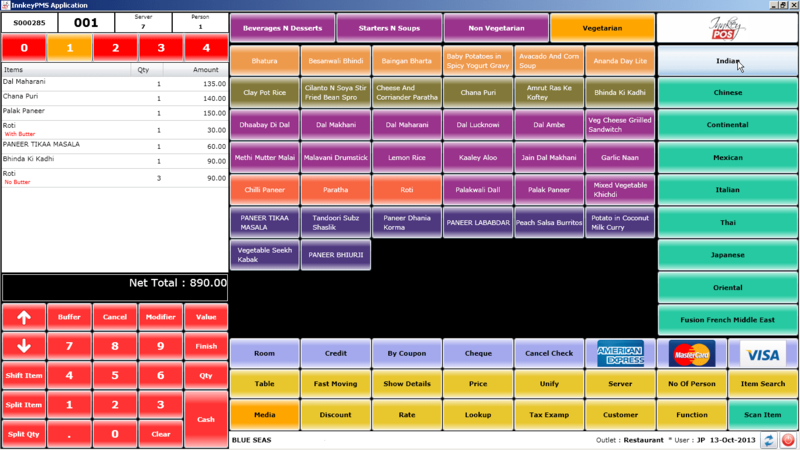 InnkeyPOS is a complete cloud-based Point-of-Sale software application that operates from a single database that covers the entire business operations including sales, stock, cost control, payroll, and finance. Its multiple features enable businesses to keep tabs on finances, see where operations are going well, and where improvements might be needed. InnkeyPOS provides facility to register non-chargeable order into system along with ‘Authorized Person’ and ‘to whom’ it has been given. User authentication is requiring entering such order. InnkeyPOS provides complete functionality to manage account receivable from credit policy, sales, receipts and outstanding. The system provides facility to split items into multiple checks for a single order or table in restaurant. It has also been designed to handle any complex tax structure. Being on cloud it can be implemented from HO in a single click. Still not sure InnkeyPOS is right for you? Use our Product Selection Tool to compare other Point-of-sale software solutions. Have questions? Call one of our unbiased Technology Advisors for a free consultation. Learn everything you need to know about InnkeyPOS. Our experts will reach out to you shortly.